which way do u like the version of?. . Wallpaper and background images in the यंग जस्टीस club tagged: young justice bat family batman nightwing batgirl robin. How could आप think I wouldn't recognize your touch inside my mind? I love both sooo much! Hmmmm he'd to decide which I like best. The BTAS version and YJI version both rock! YJ version because they look cooler! YJ version so much better! 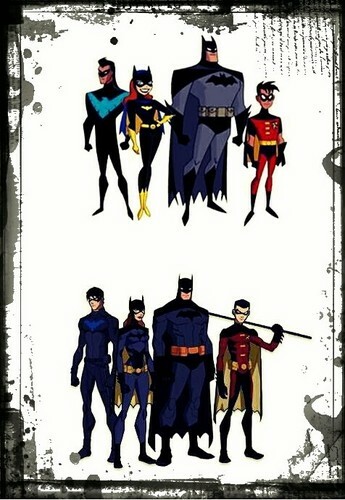 Young Justice all the way!